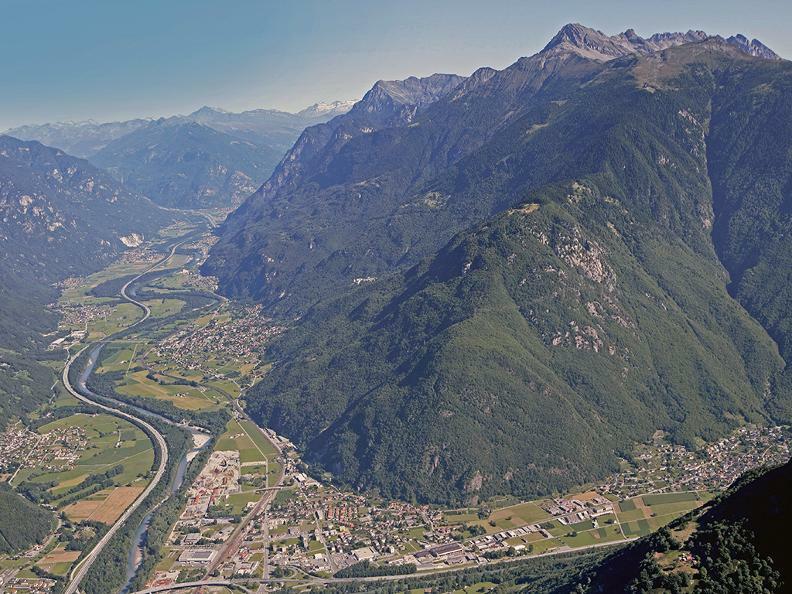 A beautiful and fairly level itinerary taking in the Riviera Valley and Bellinzona area with the plains and the mountain chains of the Upper Ticino, passing through the Lower Mesolcina before coming to the fascinating city of Bellinzona, capital of Canton Ticino, discovering authentic corners of this region. 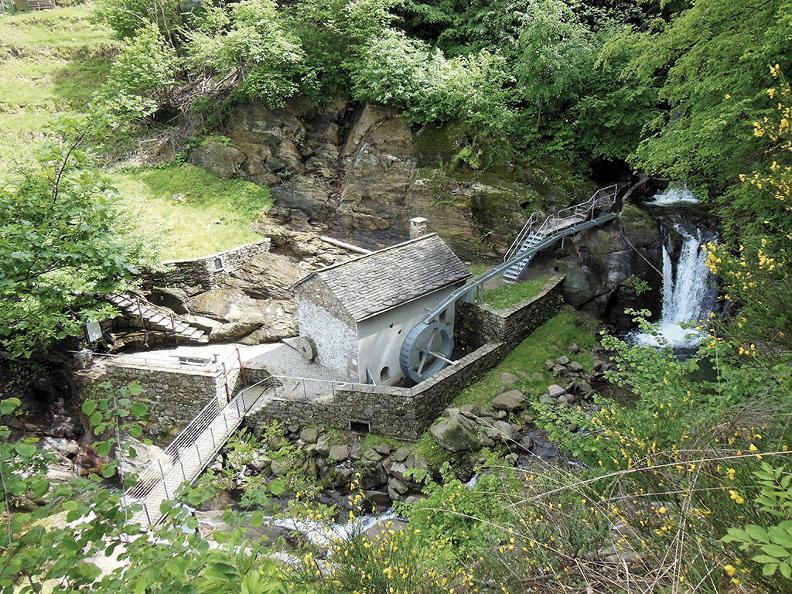 The itinerary starts in Biasca, at the centre of the Blenio, Leventina and Riviera valleys, with its beautiful view over the imposing Santa Petronilla waterfall and the Romanesque church of San Pietro that dominates the entire village. 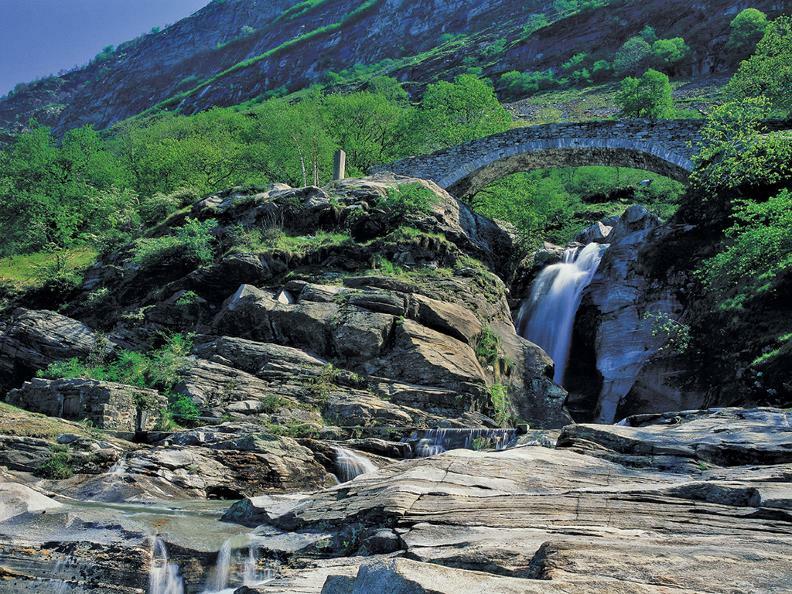 It runs through the Riviera Valley, remaining on the right bank of the River Ticino and travelling through Iragna and Lodrino, home to some important granite quarries and a number of typical grottos, where you can enjoy some excellent local produce and dishes. Upon coming to Lodrino and crossing the bridge, make your way along the other bank of the river until Cresciano, cycling past the military aerodrome. 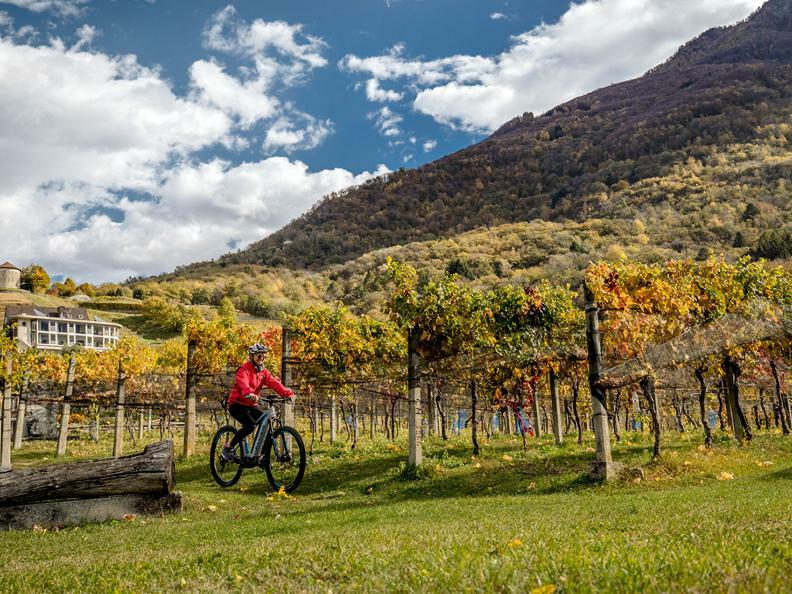 Continuing along pleasant country roads, which are untarmacked at times and surrounded by nature, you come to Arbedo-Castione, in an area devoted to recreation. After turning off for Lumino and following secondary roads until the starting point of the cableway up to the Monti di Saurù and access to the Pizzo di Claro, make your way back down in a southerly direction, travelling through Arbedo, Monte Carasso (home to the ancient Augustinian convent), Gudo with its sunny hillside vineyards, Cugnasco and Quartino. The home straight begins in Cadenazzo, at the foot of Monte Ceneri, where you can visit the ancient Precassino mill that has recently been restored to working order near the settlement of Robasacco. You will then come to the settlements of S. Antonino and Camorino and the old village of Giubiasco. 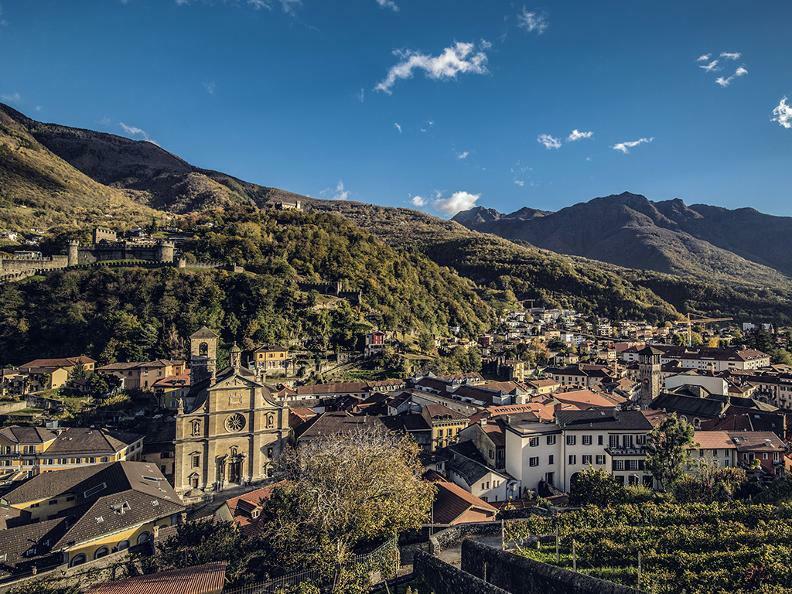 The final stop is Bellinzona – Capital of Canton Ticino – where you can admire the three UNESCO World Heritage Site castles and its historical centre, which is deemed to be one of the most authentic in the whole of Ticino with its historical villas.